Scores 28 Highway MPG and 19 City MPG! This Honda Odyssey boasts a Regular Unleaded V-6 3.5 L/212 engine powering this Automatic transmission. Wheels: 18" Machine-Finished Alloy -inc: dark gray insert, VSA Electronic Stability Control (ESC), Vinyl Door Trim Insert. 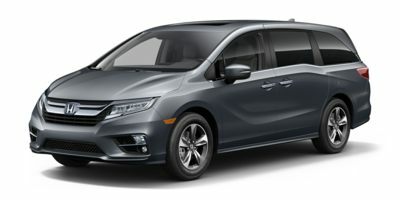 * This Honda Odyssey Features the Following Options *Trunk/Hatch Auto-Latch, Trip Computer, Transmission: 10-Speed Automatic -inc: shift-by-wire (SBW), paddle shifters and idle stop, Transmission w/Driver Selectable Mode, Trailing Arm Rear Suspension w/Coil Springs, Tires: P235/60R18 103H AS, Tire Specific Low Tire Pressure Warning, Tailgate/Rear Door Lock Included w/Power Door Locks, Systems Monitor, Strut Front Suspension w/Coil Springs. * Visit Us Today *Treat yourself- stop by Honda Marysville located at 640 colemans Crossing Blvd, Marysville, OH 43040 to make this car yours today! DISCLAIMER: Sales Tax, Title, License Fee, Registration Fee, $250 Dealer Documentary Fee, Finance Charges, Emission Testing Fees and Compliance Fees are additional to the advertised price. Any available rebates included in sales price in lieu of any special financing / lease incentives unless otherwise indicated. Internet prices are available to everyone.